I saw the PE gig at The Forum in London during your last UK tour. I was blown away by your performance of ‘What Good Is A Bomb?’. Have you any solo tracks on the forthcoming PE album? Yes. There are two PE albums being recorded at this time. Johnny Juice and I are doing one, and Gary G Wiz and some other producer is doing the other. I will have a solo track on there but it is not titled at this time. That particular song really reminded me of the days when Rage Against The Machine were doing their thing. Were they an influence or inspiration to it? Yes. After talking to Tom and Zack, and listening to Rage Against The Machine’s material, I was definitely inspired to do that track. They have a similar track that I believe is called Calm Like a Bomb. How completed is the next PE album and what are some of the details? Guest appearances, producers and titles if you could. As stated previously, there are two PE albums being recorded at this time. Some of the titles will be “How Could You Sell Soul to A Souless People That Lost their Soul” and “Grand Theft Oil” . The last solo release of yours I heard was the ‘And The World Became Flesh’ album. Is that the latest one or have I got some catching up to do, and what are your releasing next? On Oct. 13, 2004 I am releasing The 7th Octave DVD and album called The Seventh Degree, on Slam Jamz, which is Chuck D’s label, distributed by MVD. After that I’ll be doing some independent projects on some movie soundtracks. The album had a lot of tracks of a spoken word or performance poetry nature. Do you have any favorite poets? That was a spoken word album dedicated to the art of spoken word. I do have some favorite poets such as Watts Prophets, Last Poets and Gil Scott Heron. Could you talk a bit about the book you’re about to drop. What’s it about and what are your hopes and intentions for it? The book is entitled Atlanta Musick Bizness Resource Information Publication (R.I.P.). As you can see from the title, I think the Music business is kind of sick and needs some healing. But the book is basically an A-Z guide for those that are in the industry, and those that are trying to get in the industry. It gives you some tips on things such as starting a publishing company, how to get a trademark, copyright, so forth. Basically walking you through things you need to get done within the industry on a day to day basis. How long did you spend writing it and will it be getting international publishing, so we can pick it up in the UK? It probably won’t get international publishing because this particular issue is regional focusing on Southeast (Atlanta, GA) USA. We hope to expand in future publications so be looking out for future R.I.P.’s. People can visit the website at www.fromtherip.com and join the mailing list to stay up to date on future publications. As far as time spent to get the book out, it took about three and a half months to complete the project. Which music industry/hip-hop related books have you enjoyed reading in the past that you’d recommend? There are a few: The Hip Hop Generation: Young Blacks, and The Crisis In African American Culture by Bakari Kitwana. It’s a deep book and will take you a minute to get through it, but it’s very good. Also, Kashif has a good book out: The New Record Industry Bible: Everything You Better Know about the Record Industry for Artists, Songwriters, Producers, Musicians and Music Entrepreneurs. I recently read that you’ve developed software of some kind. Could you let us in on what that’s all about and how you ended up doing it? Actually a partner of mine, Earle Holder, that I own Headquarters Studio with, actually got together with a scientist in Australia to invent mastering software called Har-bal. I can’t speak on all the specifics surrounding it, but you can visit www.hdqtrz.com or www.harbal.com for more information. Chuck and Flav seem to make up the forefront of PE whilst you tend to have a visible/audible input on just a small number of tracks and performances. Why is that? It was never really designed for me to be out front, nor do I desire to be out front, personally speaking. I think that is the way groups are set up. If you look at groups like Knight Ranger, the drummer is doing the writing and is the lead vocalist, but he sat back on the drums. A lot of time, especially here in America, the industry tends to thrive on having a cute, handsome, energetic, sometimes even crazy front man, so to speak. It works for some groups, and I think what Flavor and Chuck are doing works for Public Enemy. Is your 7th Octave project and the Confrontation Camp project a means for you to air your views and showcase your material a bit more? I think the Confrontation Camp project was a means for Kyle Jason, Chuck D and I to put different genres together and express ourselves. Definitely the 7th Octave project is something for me to vent and express and just show a little bit more of what I’m made of as far as producing, writing and being an artist. What’s the next projects coming up for both groups? Hype and Laney asked me to ask: Have you heard any hip-hop from the UK and if so what are your opinions on it? I have not heard any hip-hop from the UK at all. I would love for someone to send my some so I can catch up. But a lot of people I stay in contact with from the UK just kind of hear the same old kind of stuff that’s out there, so they don’t bother sending it. How do you feel the internet has affected hiphop in good and bad ways? In a good way, a lot of underground artists have more exposure. But on the bad side, I think young underage kids are exposed to nonsense like Nelly, and that kind of garbage. If you could make anyone Public Enemy number one, who’d it be? I think this whore that sits in the New York harbor, you know the Statue of Liberty, and Uncle Sam…. They need to get married! If I could, I’d like to finish off on a comment I read you say in an interview. You said that a very small number of your Ipod tracks are hip-hop and that the genre is gradually dying. What current artists and releases are you feeling and how, if you feel there’s a way, can the genre be revived? The Genre can be revived, but it will take some creative people to operate outside the context of the status quo. I’m feelin’ Talib Kweli. I’m diggin’ a lot of the artists that are not necessarily hip hop. They have a hip hop influence. A lot of the hip hop that is out now I don’t even bother listening to… at all. But it can be revived….with some courageous people stepping outside of it and doing some different things. Remaining true to his title as Minister of Information, Professor Griff has continued his vigilance of informing the masses with his various projects. 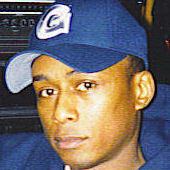 Most recently, he has published the Atlanta Musick Bizness Resource Information Publication (R.I.P. ), providing invaluable industry information for those interested in breaking into the business of MuSick. For further information, check out www.fromtherip.com. Not forgetting the young ones in his dissemination of information, PG currently has in the works a children’s project called KIDHOPPAZ, implementing the brilliant concept of info-tainment… educating our children through age appropriate lessons over hip hop beats. Check out the site at www.kidhoppaz.com. In addition, PG has collaborated with master engineer Earle Holder in innovating new technologies in the studio: visit www.hdqtrz.com for more information. On top of all this, continues to explore his creativity in music with the completion of his 7th Octave project -The Seventh Degree: An exploration of Heavy Mental in the revolutionary age of ghetto metal.